The Internship Program consists of mandatory Italian language for a total of 5 credits (including orientation), a 3 or 6-credit, unpaid, résumé-enhancing internship and one or two additional 3-credit courses related to the chosen internship. Students may also choose an additional 1-credit optional Introduction to Italian Art course, taught primarily during the field trips to Rome and Venice, for a maximum of 15 credits. In a competitive world, practical experience is an invaluable addition to classroom learning. Richmond’s Internship Program provides vital insights into a career field, experience in the global workplace, practical exposure to the demands of specific jobs and development of professional and personal skills. International work experience helps students test a potential career path while exploring interests and abilities in new ways. Working side by side with Florentines is the best way to gain insight into their culture, understand different approaches and prepare for the realities of working in a multicultural and interdependent world. 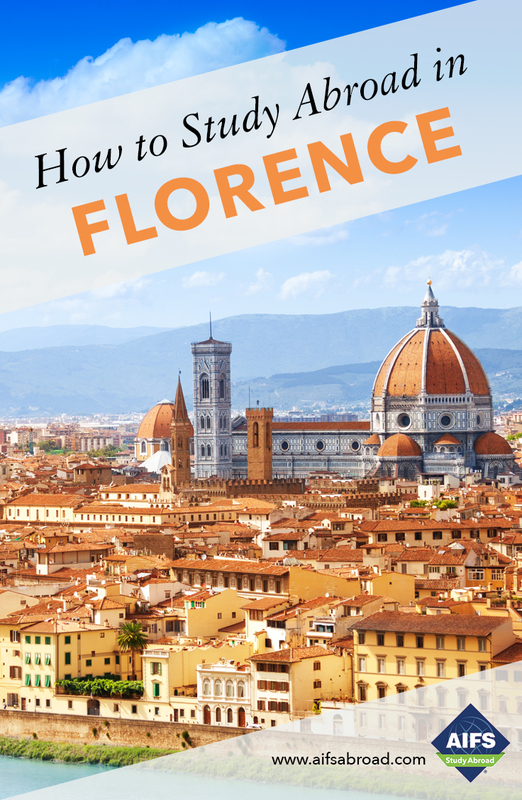 Richmond has specifically designed the International Internship Program to combine an academic program and individual attention with a unique opportunity to spend up to 13 weeks working in Florence-based organizations. The ideal internship placement is a coordination between the skills and personality that an organization is seeking and those which a student presents. Each student should approach the program with cultural awareness and flexibility. This will enable the internship office to identify suitable organizations at which the student may intern. Placements are made with both small and large organizations, and selection is based on several criteria. In some workplaces the language barrier is not considered a problem although some places require a good knowledge of the Italian language. Please note: Students must attend interviews with suitable organizations and understand that this is a competitive process. Final selection is always at the discretion of the organization and the Internship Program is not able to honor specific requests to join a particular organization or guarantee that students will be successful at interviewing. In addition to the internship coordinator who support students on an individual basis throughout the program in the seminars, internship faculty advisors are assigned from Richmond, The American International University in London faculty to monitor the internship. They are in regular contact with the student and the workplace supervisor and contribute to the academic component of the Internship Program grade. **Credits for each content course are equal to American credits based on one credit for a minimum of 15 contact hours plus home study or the equivalent in independent research or tutorials. The 3/6-credit International Internship course has 45 contact hours per credit. This program is taught by faculty of Richmond, The American International University in London. The University is an independent, nonprofit international university of liberal arts and professional studies with a student population of approximately 2,000. It is accredited by the Commission on Higher Education of the Middle States Association of Colleges and Schools. The Director of the Richmond Florence Program is appointed by Richmond and supervised by the Richmond administration in London. Professors in the Richmond study abroad programs are appointed by the University both from its own faculty and from cooperating institutions. With its elegant, gracious rooms, the Center serves as a convenient, attractive, welcoming environment for students and teachers. The Center in Florence is equipped with classrooms, offices, a library equipped with computers and printers and a student lounge. Wi-Fi is also available during office hours to students with laptops.